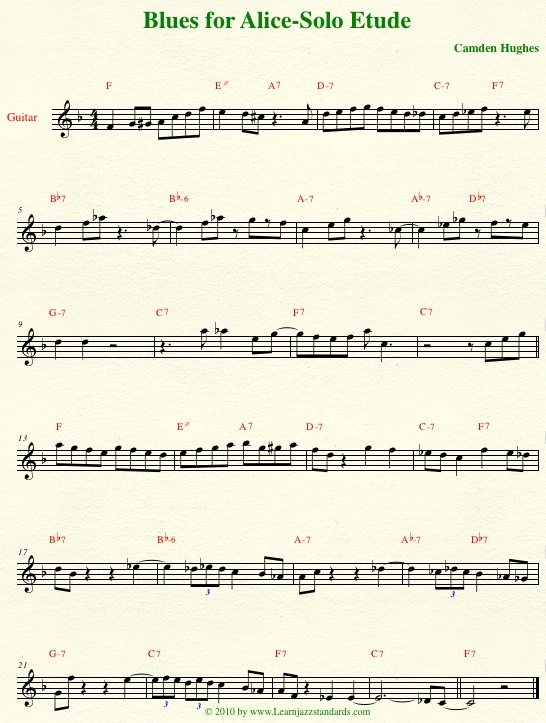 Blues for Alice on Learn Jazz Standards is a great way to improve your ability to play more inside the changes with bebop ideas. Check out our Blues for Alice jazz etude and the solo transcription of Charlie Parker’s solo below! Blues for Alice isn’t just an easy blues with I, IV, and V chords. Blues for Alice changes are also referred to as “backdoor” blues changes. Whereas most blues heads move from F to Bb7, from the I7 up to the IV7 chord, Blues for Alice goes through the backdoor, down to Em7b5 (into a ii-7b5-V7-i in the relative minor, D minor). This tune is more difficult to improvise on than the average blues tune. The changes contain harmonic nuances, and you’ll want to construct lines that highlight the harmonic movement of the tune. You shouldn’t navigate them with straight major and minor pentatonics. Here is an etude demonstrating a solo which navigates the changes using bebop ideas, highlighting the 3rds and 7ths of each chord. 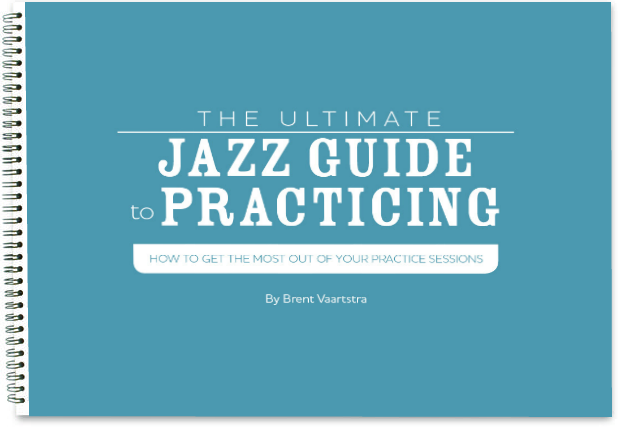 You can also study Bird’s original solo to help you improve your solo ideas. Check out the way he navigates that changes. Click here for a transcription of Bird’s solo on Blues for Alice. Frank Rosolino trombone Blues for Alice with Supersax 1978. Nice solo and good voice leading, thanks for posting!